A North Central Texas Chapter of Great Old Broads for Wilderness was recently launched. Photo courtesy of Brenda Armstrong. Know any fun-loving, feisty women who love wild spaces? There’s a new group in North Texas for them. McKinney resident Brenda Armstrong recently launched the Lone Star Broads, the first Texas chapter of Great Old Broads for Wilderness. 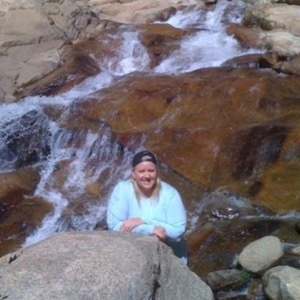 Brenda Armstrong at Rocky Mountain National Park. A 53-year-old registered nurse, Armstrong has long been an outdoor enthusiast. The Gainesville native got hooked on wilderness trips in her 20s, when she visited Yellowstone National Park for the first time. Since then, she’s visited Yellowstone dozens of times, even volunteering a couple of seasons. "It's probably one of the best places in the lower 48 states to see wildlife," said the once-aspiring opera singer. Over the years, she's checked off 10 other U.S. national parks on her bucket list, plus five in Canada. She discovered Great Old Broads, where else, but on a trail. Turns out, the woman was a Great Old Broad. The organization geared to older women was started in Utah in 1989 by “a feisty bunch of lady hikers,” according to its website. Early on, they committed themselves to grassroots advocacy to preserve wilderness and wild places for future generations,. In addition to imparting their gender's wisdom, the women-led organization vows to bring “humor” to the conservation movement - a quality not typically mentioned in mission statements. 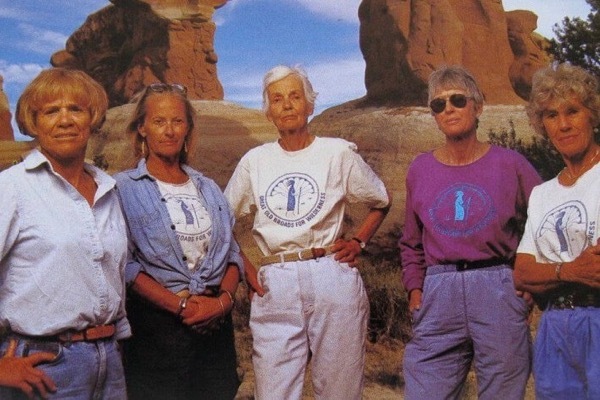 The feisty founders of Great Old Broads for Wilderness who started the nonprofit in Utah in 1989. Today the Colorado-based organization has 8,500 members in 40 chapters -called Broadbands - in 15 states, mainly in the west. There is no age limit. Younger women are welcome to join as well as men who are referred to as Great Old Bros.
To date, there has never been a chapter in Texas but there are 40 women in the North Texas area who are already members. Armstrong said she has big plans for the Lone Star Broads, which will serve North Central Texas. She expects to host everything from happy hours and potlucks to films, speakers and a book club. One of the first meetups she has planned is to the EarthxFilm screening of The River and the Wall at the Perot Museum in Dallas on April 25. As for advocacy, Armstrong said she expects the group to discuss regional conservation issues, including what’s being done with Texas’ borderlands. In addition, protecting the Mexican and red wolves is an issue close to her heart. She became a wolf advocate after she worked in Yellowstone when the grey wolf was reintroduced into the park in the 1990s. And you don’t actually have to be old or a broad to join, says Armstrong. About: New North Central Texas chapter of Great Old Broads for Wilderness, a national conservation organization led by women whose primary focus is to preserve and protect wilderness and wild lands. Who: McKinney resident Brenda Armstrong is leading the group.